Totally Rad have released the third installment of their ever increasing saga of film replication software packages. “Archive” emulates increasingly rare and eclectic film types scanned using Noritsu and Frontier film scanners. Available for use in Lightroom 5 or Photoshop 6, using Bridge and Camera Raw, Replichrome III costs $99. You can install Replichrome III directly from the Totally Rad website and – as with many programs these days – there's a 30 day trial period if you want to see what it will do for you first. Once downloaded, you can install it to the computer and it doesn't take long at all; just a few minutes. The program will automatically integrate itself into Photoshop and Lightroom. The minimum compatibility for using Replichrome III is Lightroom 4 and Photoshop 6. We used Lightroom 5 and Photoshop CC for this review. For the past two episodes of Replichrome, Totally Rad have gone all out to collect as many different film types as possible in order to expand the experience for the end user. For Replichrome I, they also used Noritsu and Frontier scanners. The Frontiers were replaced with Epson scanners for Replichrome II but they're back for the third version. Maybe that's to do with the difference between print and slide films being used. 22 films have been sourced and used in the program including Agfa HDC, Pro, Ultra and XRG, Kodak VR, Ektar, PJ and Ektacolor, Centuria, Konica Optima and Super XG, Orwocolor, Unichem and VIP. Some black and white film has also shown its face, including Agfa APX, Ilford SFX and XP2, Patterson Acupan and Rollei Superpan. There's a version of each film for each scanner too. 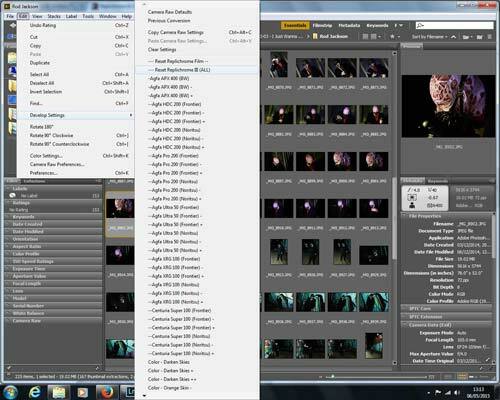 Using the program in Lightroom is by far the easiest for one or two reasons. Firstly, it's all done in one program. You can import the pictures you want to edit, click over to the Develop module and add the filter you want to use. From there you can edit the picture using Lightroom. 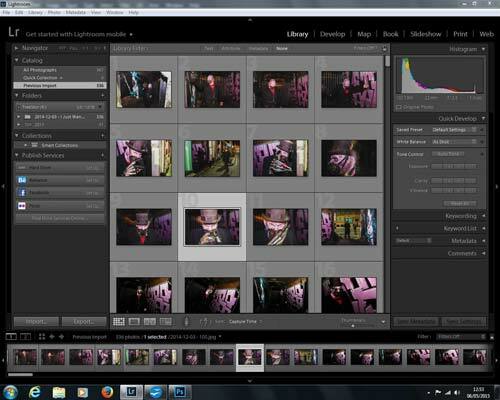 With the imported images along the bottom of the screen, you can also click on another there and edit another. With Bridge, you have to load in the pictures, select the filter you wish to use from the drop down menu and then load it in Camera Raw for any additional editing. 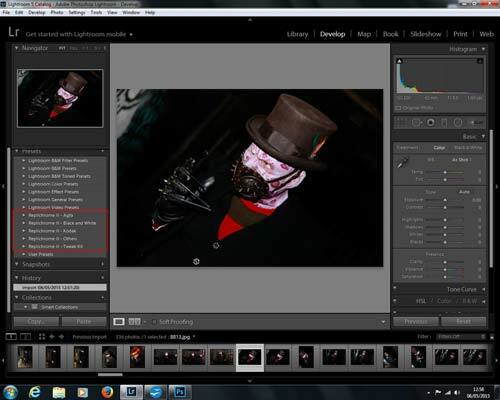 Lightroom will also preview the image for you with the filter applied without the need to click on the selection. In the past two editions of Replichrome, we've commented on the lack of particular films. One such brand was Ilford and we're pleased to see the appearance of SFX and XP2 film. We're even more pleased to see that they haven't cross processed the latter to create the sickly sepia that XP2 became so well known for. Likewise with SFX, they've not given an option for creating Infra-Red images from the film.